Have you noticed the abundance of weight loss & fitness advertisements that continue to bombard the general public? This is actually really simple. People who are INTERESTED in achieving a goal will do whatever is CONVENIENT to achieve that goal. What that means is folks who are interested in losing weight, getting back in shape, etc. will go to the gym or take a fitness class if they have time and it fits nicely into their schedule. If they are tired or have an opportunity to do something that is more fun or exciting they will choose that over exercise. “Interested” men and women will eat healthy as long as it’s easy and convenient for them (and how often is that?). This type of approach to diet and exercise is why 1 out of every 3 people in the U.S. is overweight (34% according to the Center for Disease Control’s most recent statistics). The other side of the coin is folks who are COMMITTED. Men and women who are committed to their health, fitness and weight loss goals will do WHATEVER IT TAKES to achieve these goals whether it is convenient or not. You will not hear committed people complain about not having the time or energy to work out. They will get up an hour earlier to go for a jog or give up an hour of leisure time to workout. Committed people will discipline themselves to eat healthy a vast majority of the time and enjoy unhealthy food and beverages in moderation. Now, what type of results would you expect committed people to get in terms of their health, fitness, finances, relationships, etc? 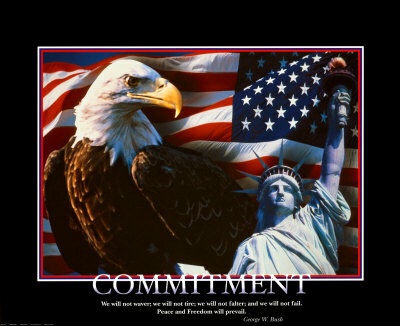 When it comes to your health and fitness don’t be INTERESTED, be COMMITTED!